These silhouettes will make a great addition to your flower garden or lawn. Trace the full size patterns onto plywood, cutout and paint black. 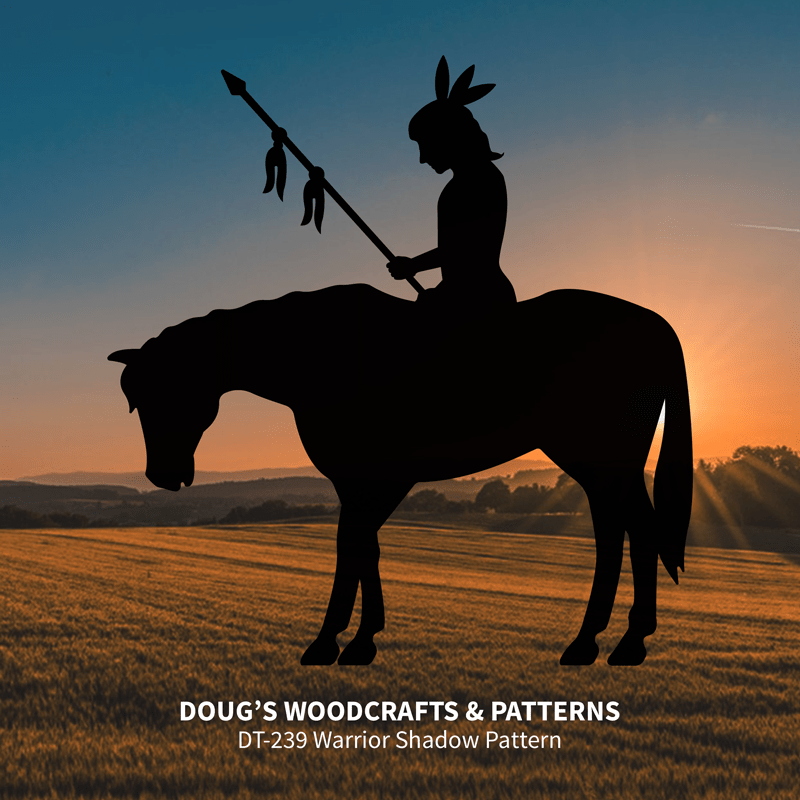 To make this eye-catching silhouette simply trace this full size pattern onto plywood, cut out with a hand-held jig saw and paint black. Remember to order CP2436 Carbon Paper available in our supplies section. available in our supplies section. Stands 95″ Tall by 47″ Wide.. Requires one full sheet of 3/4″ plywood to make..This huge image is sure to be a traffic stopper when displayed in your yard. Make this eye catching silhouette for yourself, as a gift, or for resale. cutout with a hand-held jig saw and paint black. Carbon paper makes tracing easier (available in our supplies section). cutting out with a hand-held jigsaw and painting . Fasten to side of a building or fence. Measures approx. 24″ by 24″. NEW FOR 2019! Easy to make and paint! onto plywood, cut out and paint black. Make a great display when attached to a fence or side of a building. 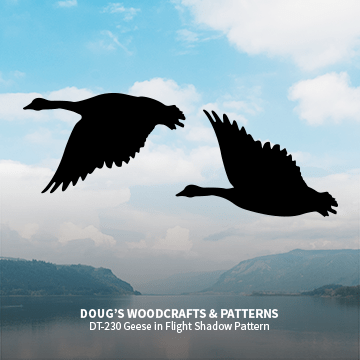 Sheet of plywood 24″ by 48″ makes 3 Duck silhouettes. Complete your Christmas Yard display with this eye-catching display of a Christmas Dove. 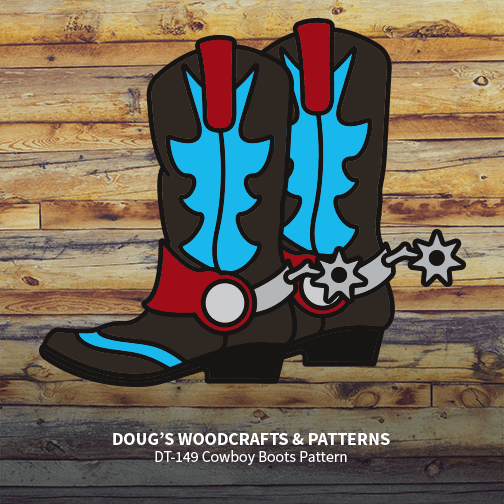 Trace this full-size one-piece pattern onto, cutout with a hand-held jig saw and paint according to instructions on the pattern. Measures 36" Tall by 47" Wide..
on the pattern. Measures 36″ Tall by 47″ Wide. 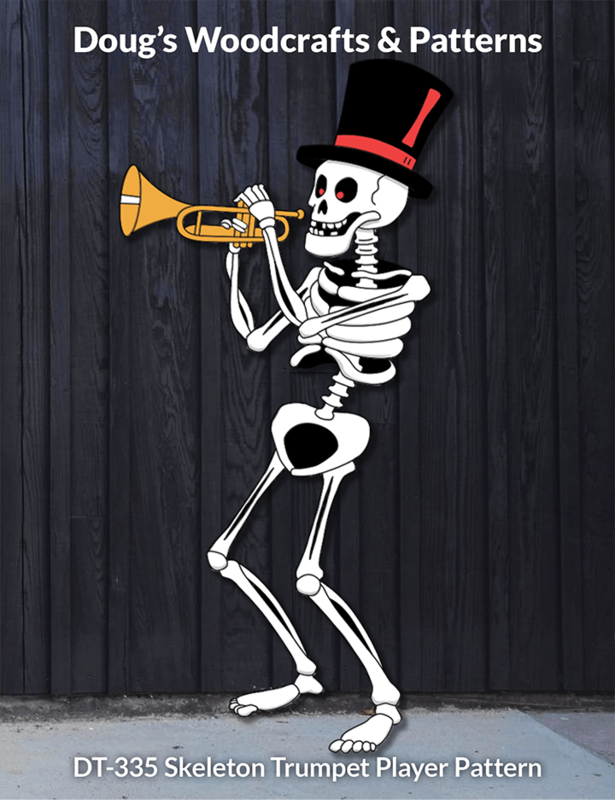 No band is complete without a trumpet player and this character fills the bill for jazz, blues or swing. Measures approx. 70" Tall. 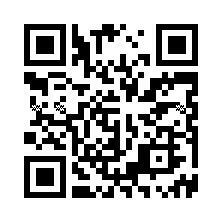 for jazz, blues or swing. Measures approx. 70″ Tall. 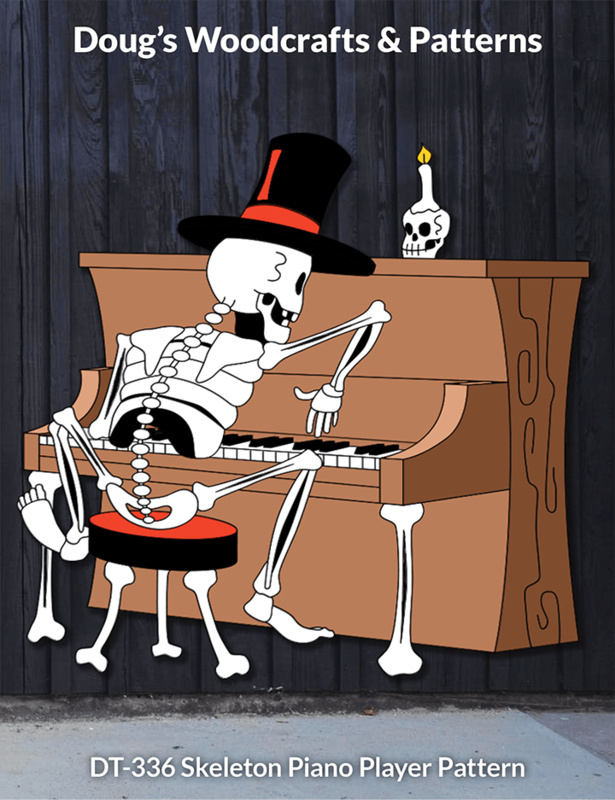 Make this display of a skeleton tinkling the ivories and hear screams of delight by all those who pass by. Display measures 47" tall by 47" wide. Really a 5 star winning pattern. 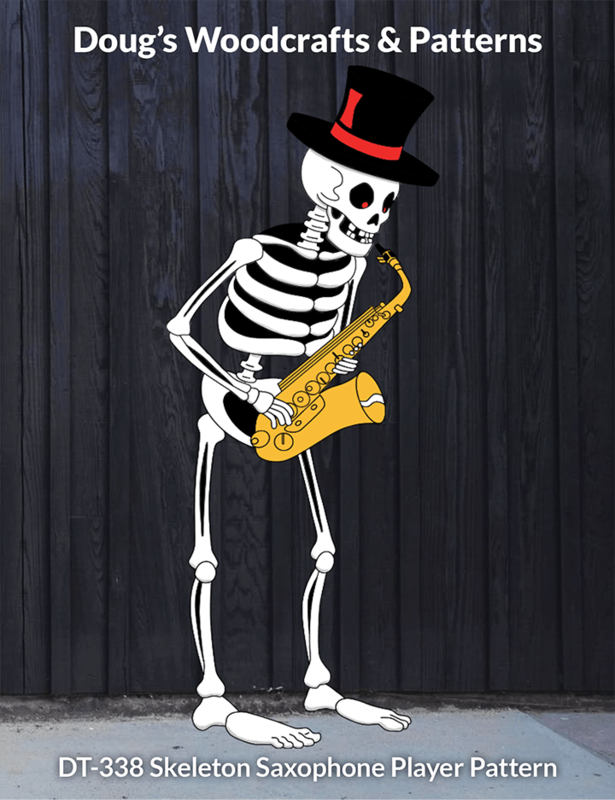 Make this display of a skeleton tinkling the ivories and hear screams of delight by all those who pass by. Display measures 47″ tall by 47″ wide. Really a 5 star winning pattern. 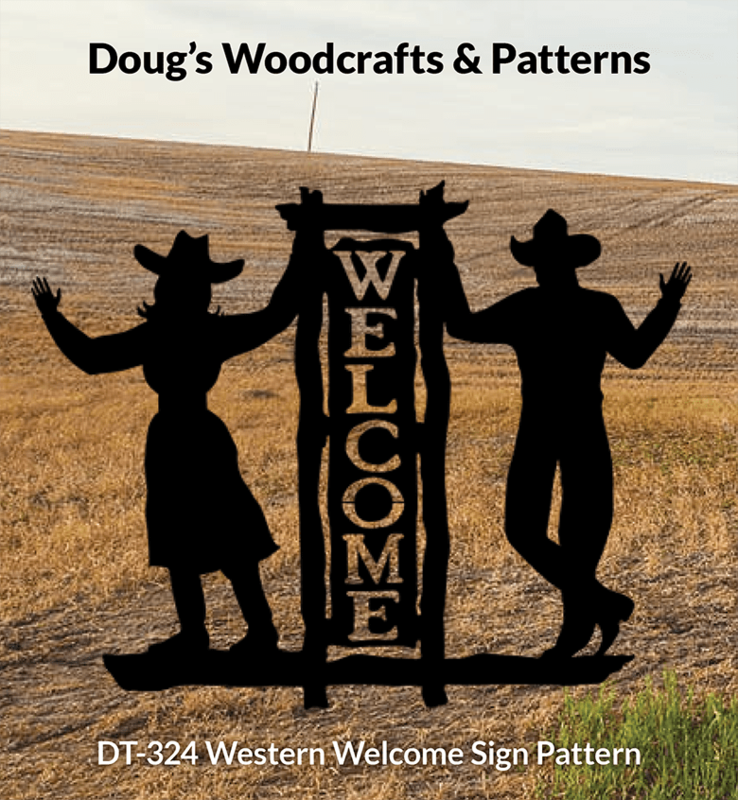 Give big western welcome to everyone who visits your-property by displaying this large 8 foot tall by 8 foot wide sign. Easy to make with this full-size pattern including assembly details, plywood, some lumber and paint. Remember to order carbon paper available in our supplies section to make tracing easier. This adorable little princess is sure to catch the eyes of all those who pass by your yard. 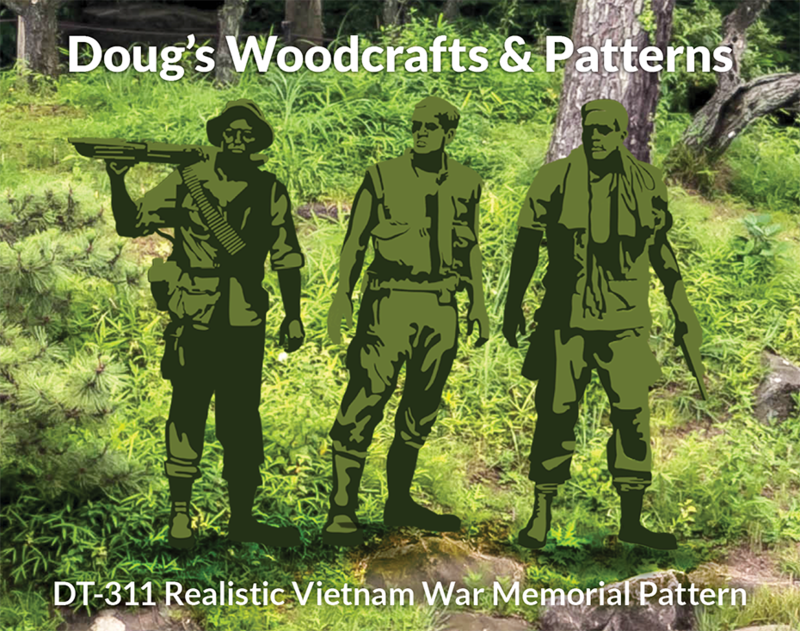 To make simply trace this full-size pattern onto plywood, cutout and paint. Complete painting instructions included. Measures 35" Tall. This adorable little princess is sure to catch the eyes of all those who pass by your yard. To make simply trace this full-size pattern onto plywood, cutout and paint. using this full-size pattern, plywood and some black paint. Standing wolf measures almost 36″ tall. Illuminates with common interior lighting! Easy to hang, window friendly! Works on windows as small as 24" by 36" or as large as 36" by 60". Package contains 2 posters. Illuminates with common interior lighting! Easy to hang, window friendly! Works on windows as small as 24″ by 36″ or as large as 36″ by 60″. Trim to fit your windows! Fits windows as small as 24\' by 36\' or as large as 35" by 60"! Illuminates with common interior lighting! Easy to hang! Trim to fit your windows! Fits windows as small as 24\’ by 36\’ or as large as 35″ by 60″! Illuminates with common interior lighting! Easy to hang! WOW! What a fabulous display! 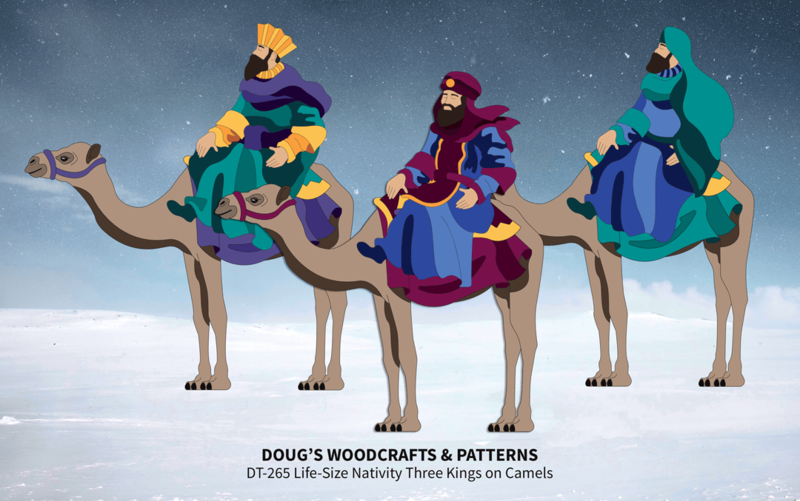 Three Magi atop their camels! The finishing touch to any life-size Nativity yard display. 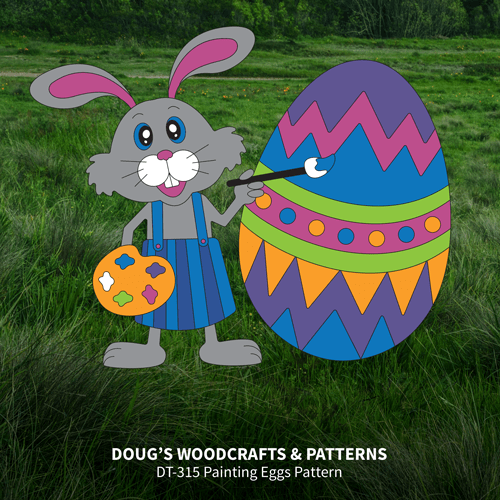 Simply trace these full-size patterns onto plywood, cut out with a hand -held jigsaw and paint as indicated on the patterns or in colours of your own choosing. Each display measures over 8 feet tall by 92" Wide. WOW! What a fabulous display! Three Magi atop their camels! The finishing touch to any life-size Nativity yard display. in colours of your own choosing. Each display measures over 8 feet tall by 92″ Wide. This fella looks mean. 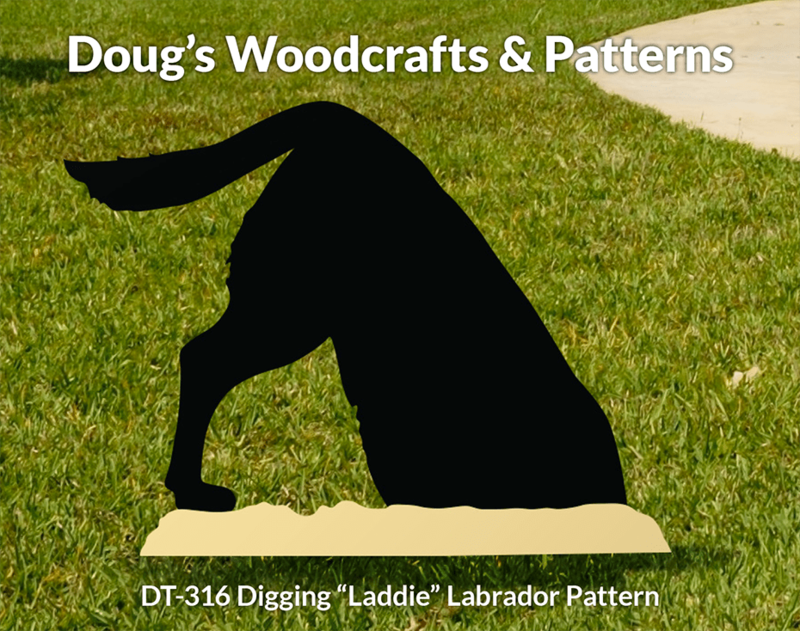 Simply trace this full size pattern onto plywood, cut out with a hand-held jigsaw and paint black. Due to the size of this project you will need to join two pieces of plywood together with a support brace on the backside. Display measures 57" Tall by 57" Wide. on the backside. Display measures 57″ Tall by 57″ Wide. 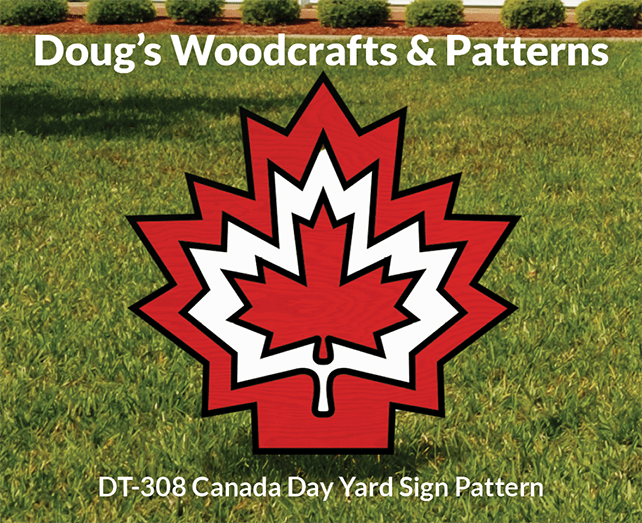 Celebrate Canada Day, July 1st, and display this eye-catching emblem on your lawn to show how proud you are to be a Canadian. Measures 30" Tall by 31" Wide. to show how proud you are to be a Canadian. Measures 30″ Tall by 31″ Wide. Make a pair and display one on each side of your front door. They are sure to be noticed buy treaters and adults alike. Measures 20" Wide by 45" Tall. Make a pair and display one on each side of your front door. They are sure to be noticed buy treaters and adults alike. Measures 20″ Wide by 45″ Tall. To make simply trace this full-size pattern onto plywood, cut out and paint as indicated. Measures approx. 31" Tall by 43" Wide. To make simply trace this full-size pattern onto plywood, cut out and paint as indicated. Measures approx. 31″ Tall by 43″ Wide. Boys will be boys even playing crib. using our detailed plans and assembling instructions. Use any wood you wish and the finishing options are endless. This image is sure to catch everyone's eye when they see it displayed on your lawn. To make simply trace this full -size pattern onto plywood and paint black. Measures 47" Tall by 38" Long. This image is sure to catch everyone’s eye when they see it displayed on your lawn. To make simply trace this full -size pattern onto plywood and paint black. Measures 47″ Tall by 38″ Long. Every Halloween display should have a pumpkin patch. This one is easy to make using this full-size pattern, plywood and paint. Measures 20" Tall by 59" Wide. Every Halloween display should have a pumpkin patch. This one is easy to make using this full-size pattern, plywood and paint. Measures 20″ Tall by 59″ Wide. Works on Windows as small as 24" x 36" and as large as 35" x 60"
remembering those brave military who served in the Vietnam conflict. Each figure measures approx. 69″ tall. Trace, cut out and paint black. Illustrated here with Olive Green and Dk. Green paints. For other eye-catching figures try Grey with Charcoal paints or Dk. Brown with Lt .Brown paints. 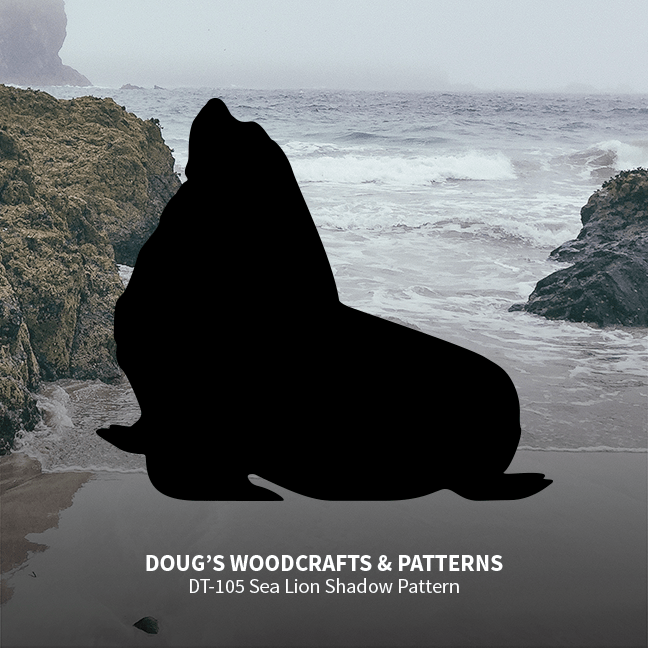 See DT-310 for pattern of Black Silhouettes. For other eye-catching figures try Grey with Charcoal paints or Dk. Brown with Lt .Brown paints. 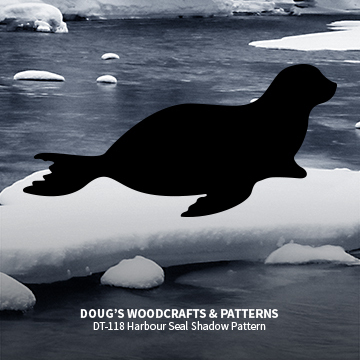 See DT-310 for pattern of Black Silhouettes. and a Barrel measuring 20″ Tall by 16′ Wide for 10 bottles. Plans nclude material lists together with cutting & assembling instructions. Easy to make and paint. 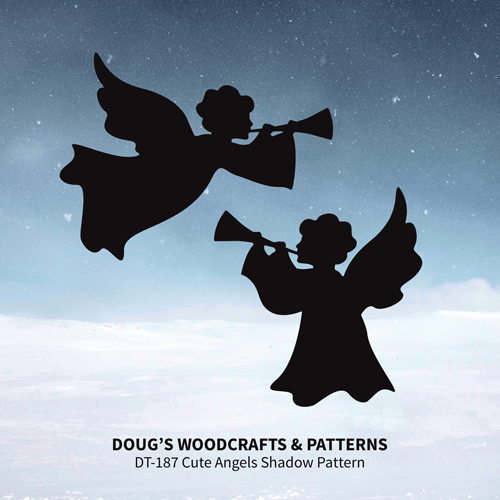 Trace these full-size patterns onto plywood with the aid of CP2436 Carbon Paper cut out with a hand-held jigsaw and paint Black as a shadow or White for your Christmas yard display. Two sizes: 25" by 24" and 31" by 24"
Everyone who passes by will think your dog is digging up your lawn. piece of plywood 24″ by 32″. cutting out with a hand-held jigsaw and painting black. Finished display measures 23″ Tall by 31″ Wide. and paint Black as a shadow or White for your Christmas yard display. Trace this full-size pattern onto plywood with the add of CP2436 Carbon Paper (Supplies section) , cut out and paint black. Finished display measures 49" Tall by 47" Wide and is sure to be noticed and admired when you stake it out in your yard. cut out and paint black. and is sure to be noticed and admired when you stake it out in your yard. Everyone who passes by will think your dog is digging up your lawn. Easy to make and paint by simply tracing this full-size pattern onto a piece of plywood 24" by 32". cutting out with a hand-held jigsaw and painting black. Finished display measures 23" Tall by 31" Wide. Easy to make and paint. 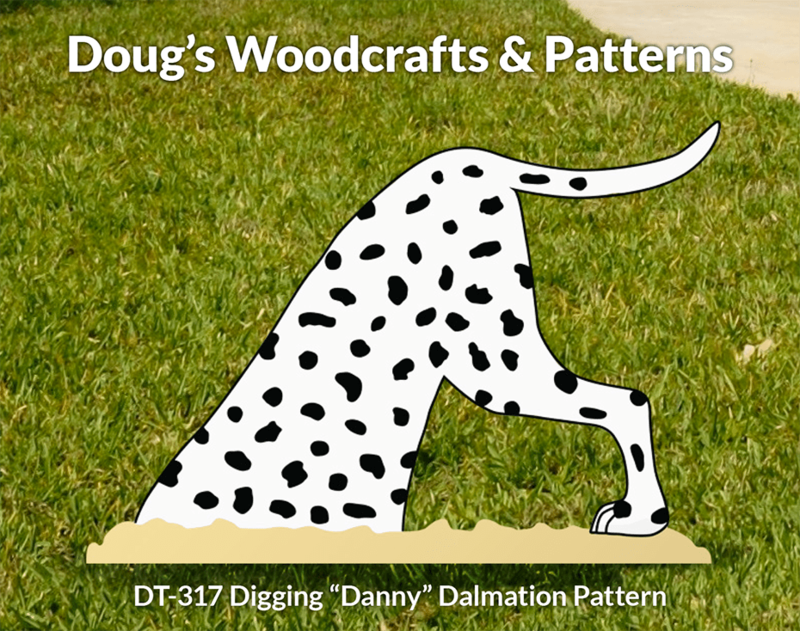 Simply trace this full-size pattern onto a piece of plywood 24" by 32", cut out with a hand-held jigsaw and paint white with black spots. Finished display measures 19" Tall by 27" Wide. and paint white with black spots. Finished display measures 19″ Tall by 27″ Wide. Display this humourous Easter image in your yard and watch the reaction of all those who pass by. Easy to make and paint using this full-size pattern with complete colour schedule, plywood and paint. Measures 26" Tall by 32" Wide. and watch the reaction of all those who pass by. plywood and paint. Measures 26″ Tall by 32″ Wide. Display these adorable silhouette images of 2 boys playing. Easy to make and paint using this full-size pattern, plywood and black paint. Measures approx. 31" Tall by 46" Wide. Order CP2436 Carbon Paper for easy tracing, available in our supplies section. Display these adorable silhouette images of 2 boys playing. Easy to make and paint using this full-size pattern, plywood and black paint. Measures approx. 31″ Tall by 46″ Wide. 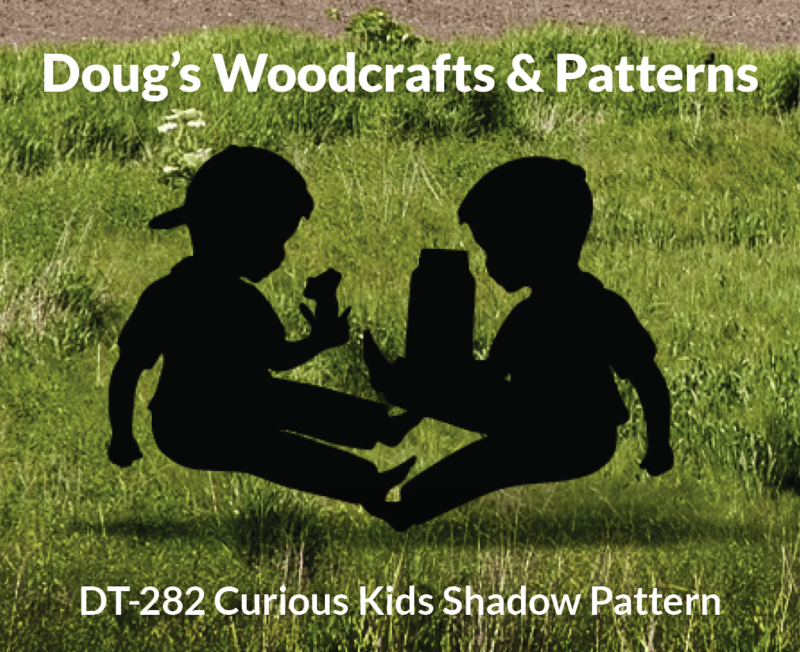 To make this adorable shadow image simply trace this full size pattern onto plywood, cut out and paint black. Measures 22" Tall by 29" Long. Order CP2436 Carbon Paper to make the tracing easier ( available in our supplies section. onto plywood, cut out and paint black. Measures 22″ Tall by 29″ Long. 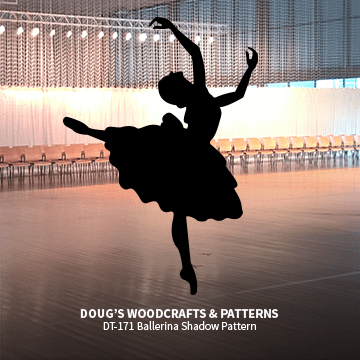 This silhouette can easily be made using this full-size pattern, plywood and black paint. Order CP1824 or CP2436 Carbon Paper found in our supplies section to make tracing easier. Finished image measures 34" Tall by 39" Wide. 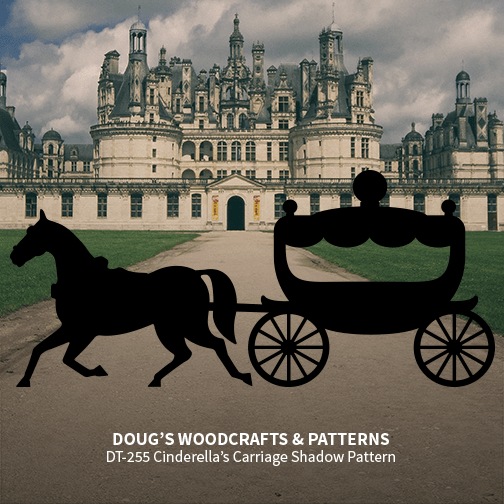 This silhouette can easily be made using this full-size pattern, plywood and black paint. Order CP1824 or CP2436 Carbon Paper found in our supplies section to make tracing easier. Finished image measures 34″ Tall by 39″ Wide. plywood, and black paint. Measures 72″ Tall by 62″ Wide. 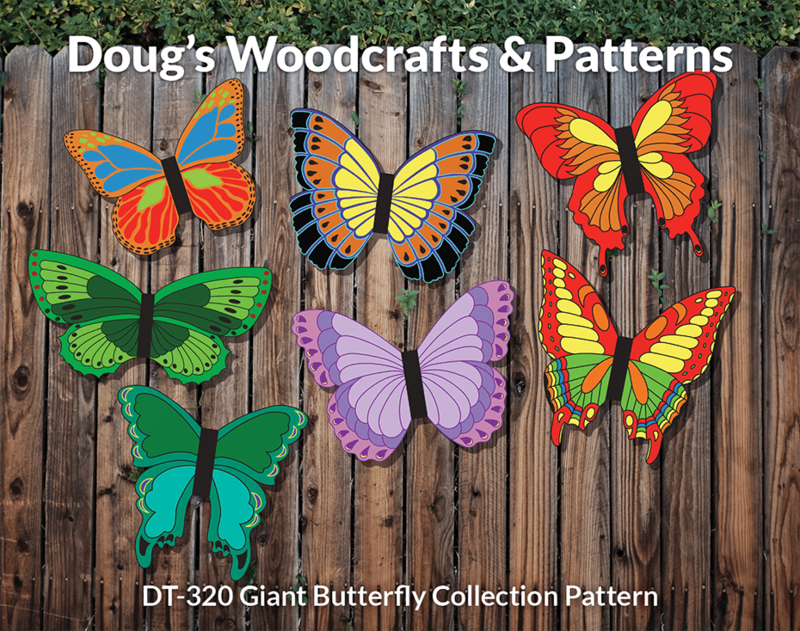 These beautiful, colour-ful Butterflies are sure to be noticed and admired when you display them on a fence, on the trucks of trees or on the side of a building. They measure approx. 16" Tall by 16" Wide. Each butterfly comes with its own easy to follow colour schedule. Order CP1824 Carbon Paper to make tracing easier. when you display them on a fence, on the trucks of trees or on the side of a building. They measure approx. 16″ Tall by 16″ Wide.
. Order CP1824 Carbon Paper to make tracing easier. then sit Yard Silhouettesback and watch the startled looks on faces of those who pass by. 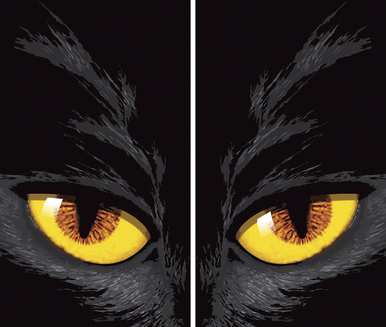 You can easily make this eye-catching silhouette by simply tracing this full-size, 2 piece pattern (one match line) onto plywood with the aid of carbon paper, cut out and paint black. Makes a great addition to your western theme. Silhouette measures 47" Tall by 49" Wide. onto plywood with the aid of carbon paper, cut out and paint black. Makes a great addition to your western theme. 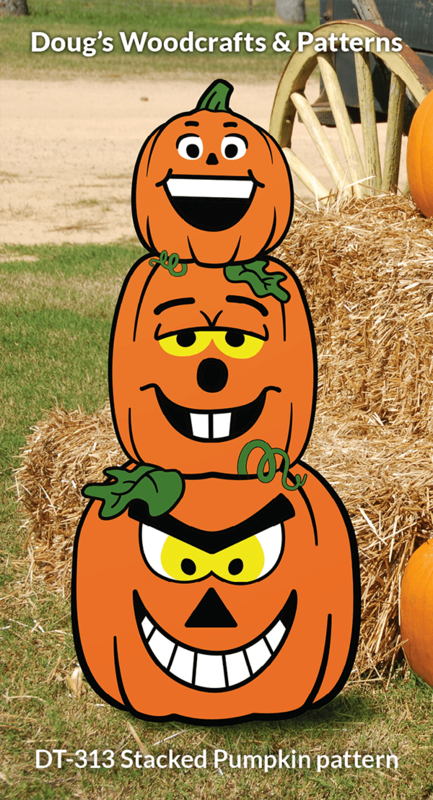 This adorable silhouette is sure to bring a smile to the faces of all who see it displayed in your yard or garden area. Easy to make by simply tracing this full-size, one-piece pattern onto plywood using carbon paper and cutting out with a hand-held jigsaw. Paint Black. Silhouette measures approx. 47" Tall by 34" Wide. 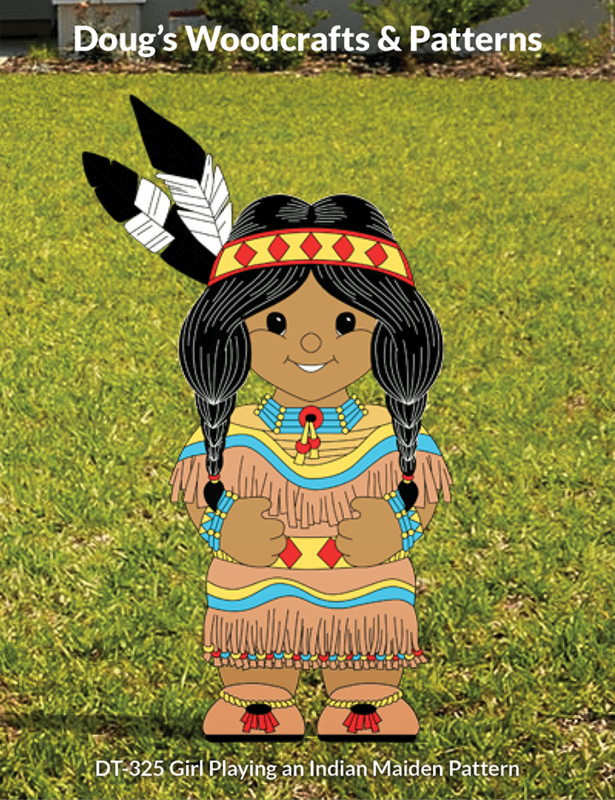 This adorable silhouette is sure to bring a smile to the faces of all who see it displayed in your yard or garden area. Easy to make by simply tracing this full-size, one-piece pattern onto plywood using carbon paper and cutting out with a hand-held jigsaw. 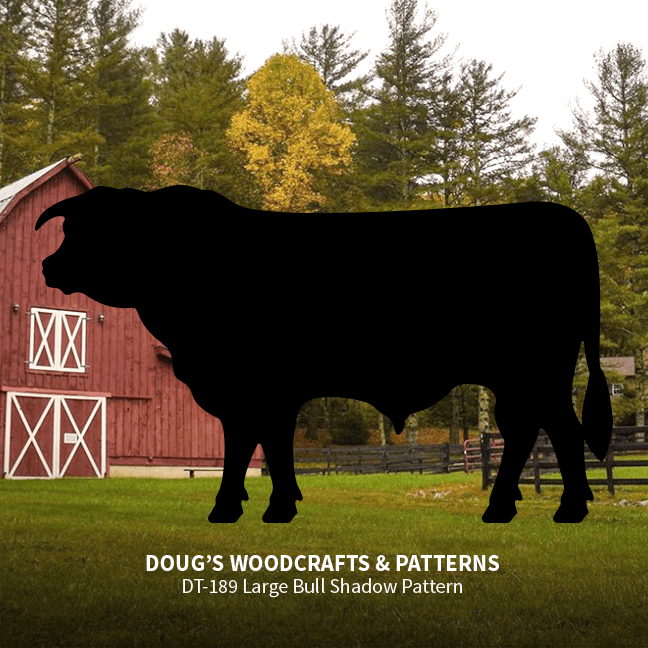 This large silhouette of a Bull is sure to be noticed staked out in your property. 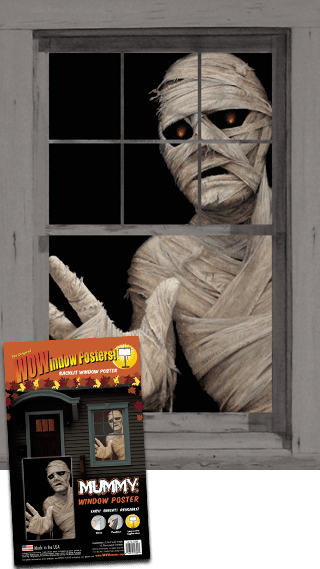 The display measures 56" Tall by 96" Long and can easily be made using our full-size pattern, 2 pieces of 3/4" plywood 48" x 60" joined together, carbon paper that's available in our supplies section, a hand-held jigsaw, and some black paint. 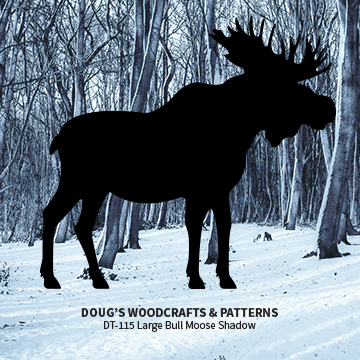 This large silhouette of a Bull is sure to be noticed staked out in your property. The display measures 56″ Tall by 96″ Long and can easily be made using our full-size pattern, 2 pieces of 3/4″ plywood 48″ x 60″ joined together, carbon paper that’s available in our supplies section, a hand-held jigsaw, and some black paint. This silhouette is an up-sized version of The 1-101 Sasquatch. It measures 95" tall by 48" Wide. Due to the size of this silhouette 2 large sheets of paper were required to make this pattern and to make the silhouette requires a full sheet of 3/4" exterior plywood . Doug also recommends using CP2436 Carbon Paper (Available in our Suppl;ies Section) to make the tracing of this pattern easier. 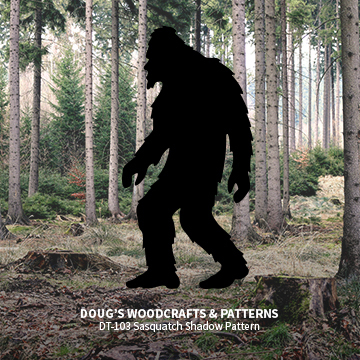 This silhouette is an up-sized version of The 1-101 Sasquatch. It measures 95″ tall by 48″ Wide. Due to the size of this silhouette 2 large sheets of paper were required to make this pattern and to make the silhouette requires a full sheet of 3/4″ exterior plywood . Doug also recommends using CP2436 Carbon Paper (Available in our Suppl;ies Section) to make the tracing of this pattern easier. This image of a resting Camel will make a great addition to your Christmas Display. 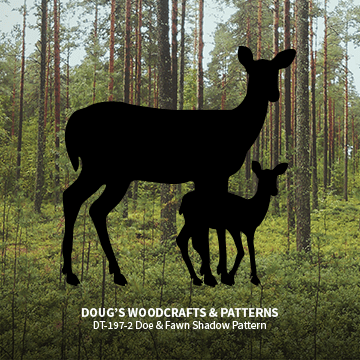 Simply trace this full-size pattern onto plywood using CP2436 Carbon Paper (available in our Supplies Section) cut out with a hand-held jigsaw and paint in colours as suggested or colours of your own choosing. Display measures 51" Tall by 92" Long. This image of a resting Camel will make a great addition to your Christmas Display. 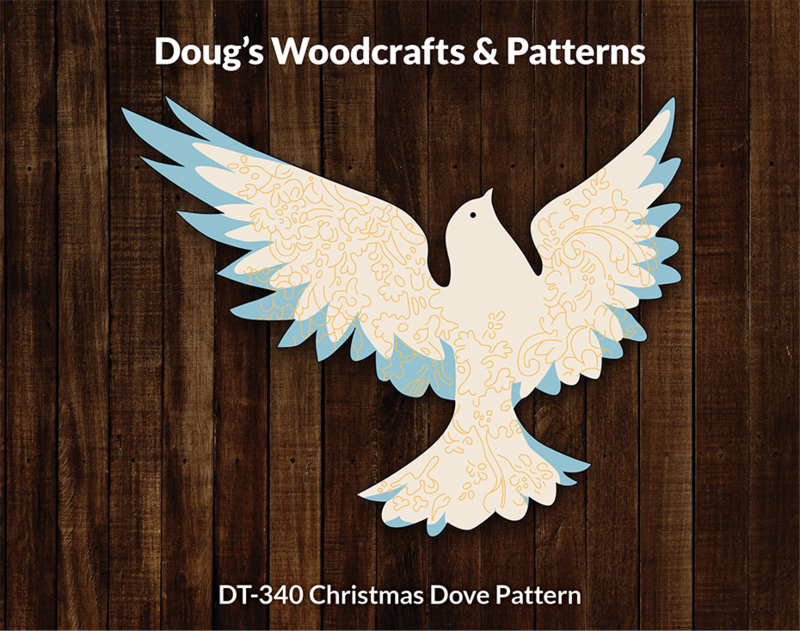 Simply trace this full-size pattern onto plywood using CP2436 Carbon Paper (available in our Supplies Section) cut out with a hand-held jigsaw and paint in colours as suggested or colours of your own choosing. Display measures 51″ Tall by 92″ Long. 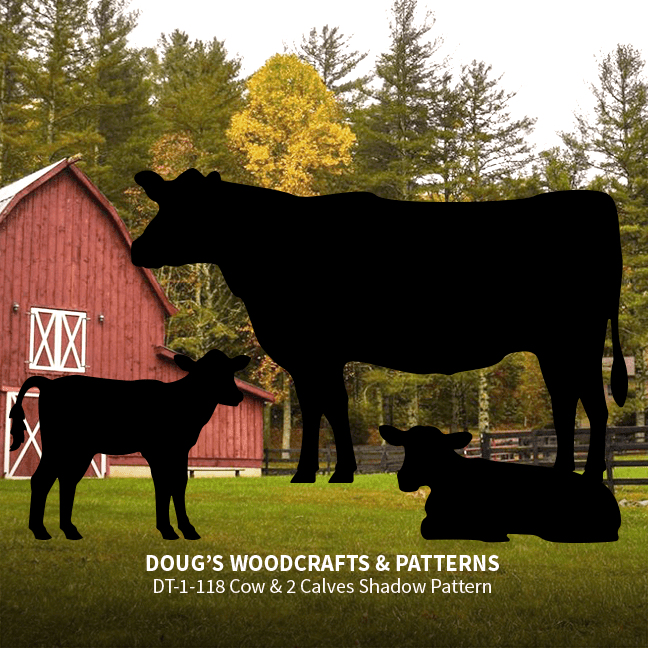 Start your own herd of cattle by making this eye-catching silhouette of a standing cow and two calves. Simply trace this full-size pattern onto plywood, cut out with a hand-held jigsaw and paint black or colours of your own choosing. Cow measures 47" Tall by 74 " Long, standing calf measures 30" Tall by 38" Long and the resting calf measures 17 " Tall by 35 " Long. CP2436 Carbon Paper (available in our supplies Section) will make the tracing a lot easier. Start your own herd of cattle by making this eye-catching silhouette of a standing cow and two calves. Simply trace this full-size pattern onto plywood, cut out with a hand-held jigsaw and paint black or colours of your own choosing. Cow measures 47″ Tall by 74 ” Long, standing calf measures 30″ Tall by 38″ Long and the resting calf measures 17 ” Tall by 35 ” Long. CP2436 Carbon Paper (available in our supplies Section) will make the tracing a lot easier.36 Carbon Paper (available in our Supplies Section) cut out with a hand-held jigsaw and paint in colours as suggested or colours of your own choosing. Display measures 51″ Tall by 92″ Long. 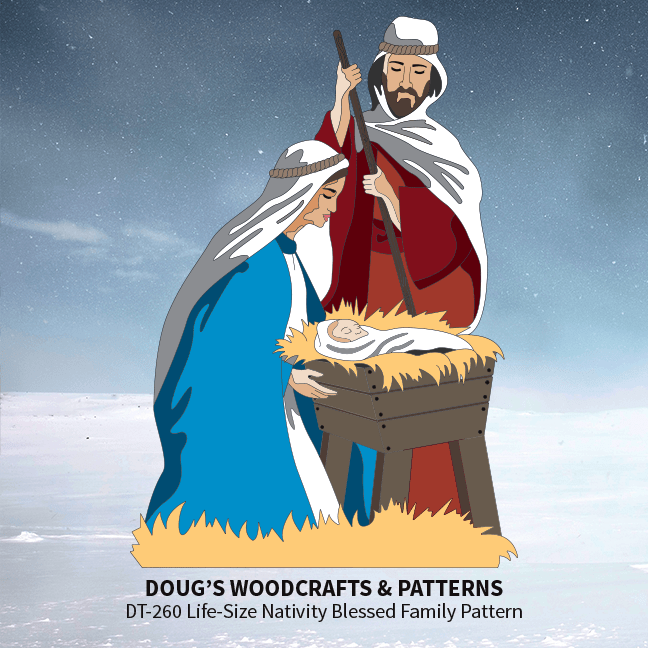 Ensemble #1 contains DT-260 Blessed Family and DT-261 Shepherds and Sheep patterns. 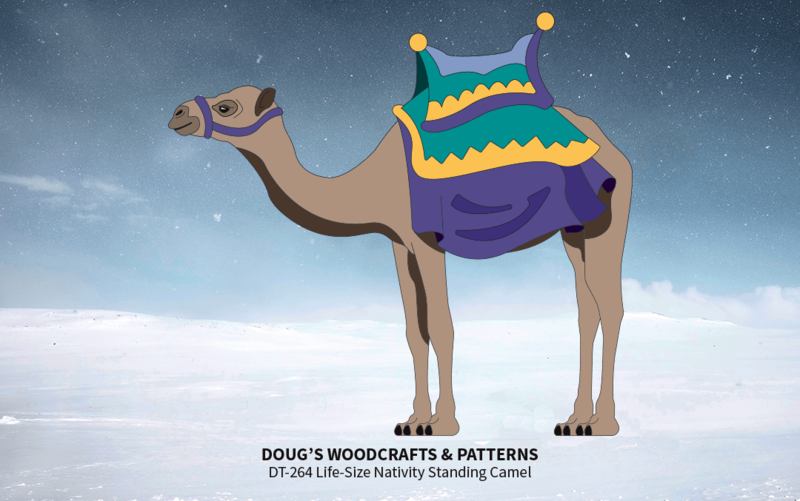 Display this large life-size Camel with your Christmas display and you are certain to receive many compliments. 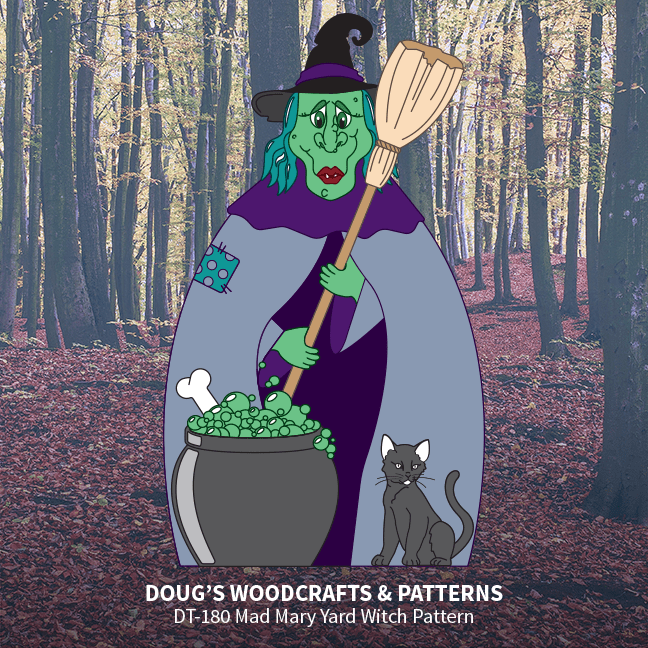 Simply trace this full-size pattern onto plywood using CP2436 Carbon Paper (available in our supply section), cut out wiith a hand held jigsaw and paint in colours as suggested or in colours of your own choosing. Camel measures 84" Tall by 92" Long. 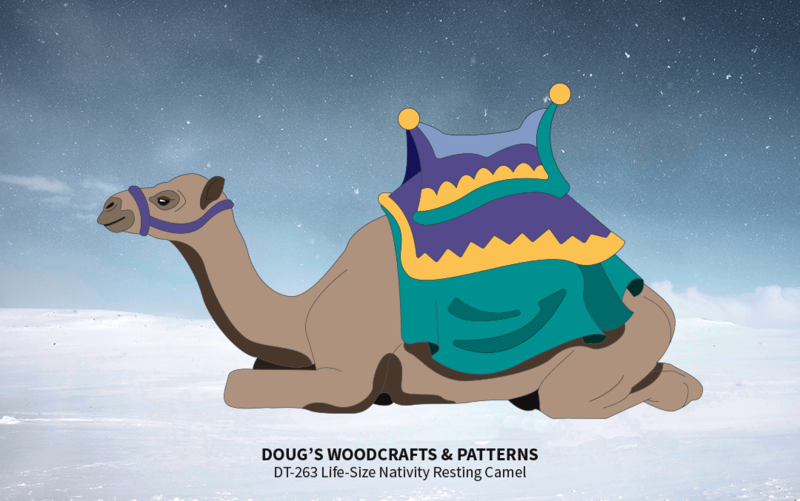 Display this large life-size Camel with your Christmas display and you are certain to receive many compliments. 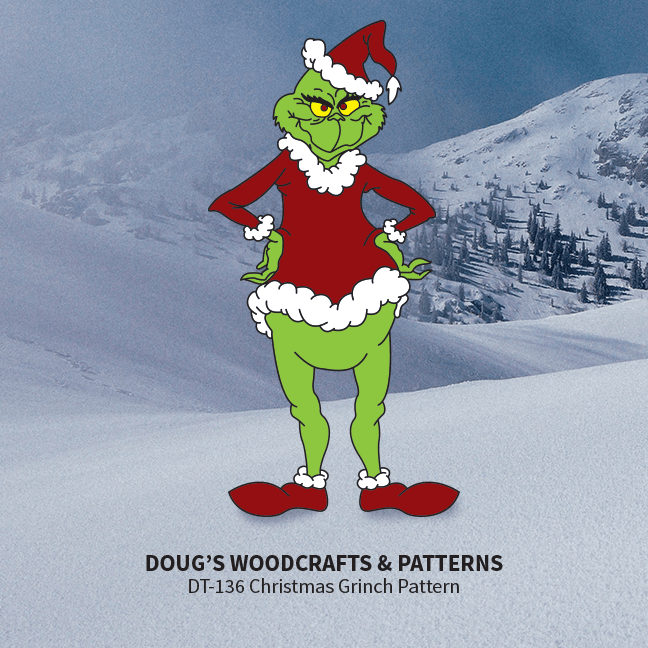 Simply trace this full-size pattern onto plywood using CP2436 Carbon Paper (available in our supply section), cut out with a hand held jigsaw and paint in colours as suggested or in colours of your own choosing. Camel measures 84″ Tall by 92″ Long. 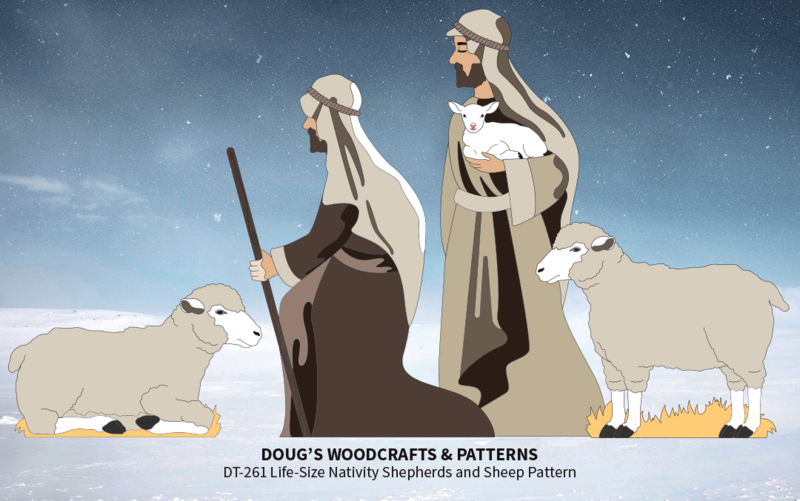 Shepherds and Sheep make great accent pieces for your DT-260 Life-Size Nativity - Blessed Family display. Trace the patterns onto 3/4" plywood, cut out with a hand-held jigsaw and paint with the colours we have suggested on the pattern or with colours of your own choosing. Standing Shepherd measures 66" Tall by 26" Wide, Kneeling Shepherd measures 57" Tall by 42" Wide, Standing Sheep measures 30" Tall by 34" Long and the Laying Sheep measures 21" Tall by 34" Long. Carbon Paper and display stakes are available in our supplies section. 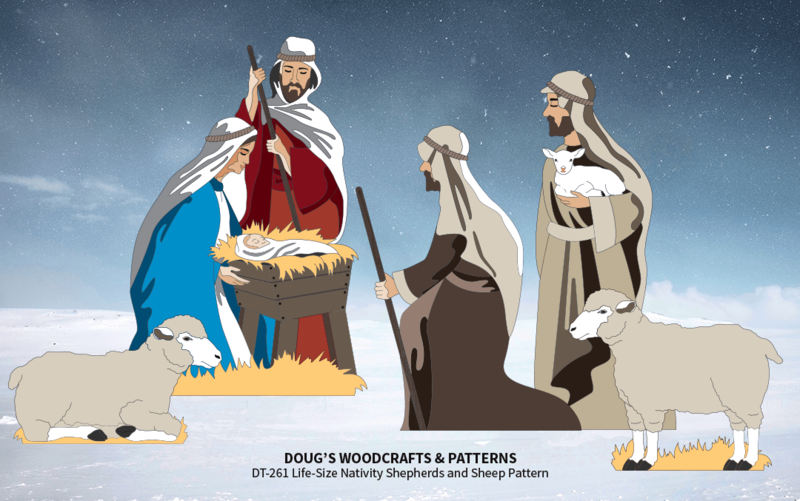 Shepherds and Sheep make great accent pieces for your DT-260 Life-Size Nativity – Blessed Family display. Trace the patterns onto 3/4″ plywood, cut out with a hand-held jigsaw and paint with the colours we have suggested on the pattern or with colours of your own choosing. Standing Shepherd measures 66″ Tall by 26″ Wide, Kneeling Shepherd measures 57″ Tall by 42″ Wide, Standing Sheep measures 30″ Tall by 34″ Long and the Laying Sheep measures 21″ Tall by 34″ Long. Carbon Paper and display stakes are available in our supplies section. Relive the enjoyment of the story in Mother Goose Story book about Cinderella by displaying is stylish carriage with its prancing horse on your front lawn. The horse measures 36" Tall by 46" Long, the carriage measures 42" Tall by 48" Long. Simply trace the full-size patterns onto plywood, cut out with a hand-held jigsaw and paint black. Enjoy! Relive the enjoyment of the story in Mother Goose Story book about Cinderella by displaying is stylish carriage with its prancing horse on your front lawn. The horse measures 36″ Tall by 46″ Long, the carriage measures 42″ Tall by 48″ Long. Simply trace the full-size patterns onto plywood, cut out with a hand-held jigsaw and paint black. Enjoy! Express the true meaning of Christmas with this eye-catching, display. 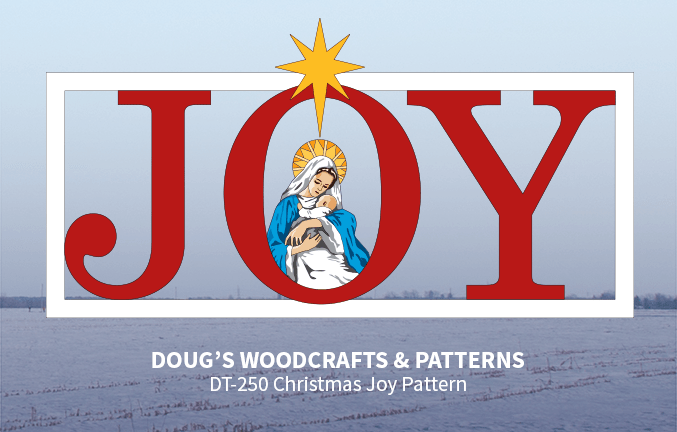 Red letters set inside a white frame, a colorful nativity scene of Mary and Baby Jesus and glowing gold star can easily be made using this full- size, one piece pattern, a sheet of 3/4" plywood, CP-2436 Carbon Paper, a hand- held jigsaw and some paint. Display measures 41" Tall by 79" Long with the Star. a hand- held jigsaw and some paint. Display measures 41″ Tall by 79″ Long with the Star. 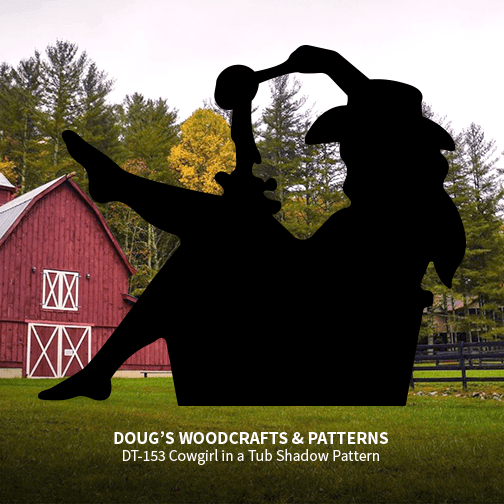 DT-153 Cowgirl In A tub Shadow Pattern. To make this eye-catching silhouette simply trace the full-size pattern onto plywood with the add of CP2436 Carbon Paper (Supplies Section), cut out with a hand-held jigsaw and paint black. Stake out in your yard using MGS Display Stakes (Supplies Section). Figure measures 38" Tall by 45" Wide. cut out with a hand-held jigsaw and paint black. Stake out in your yard using MGS Display Stakes (Supplies Section). Figure measures 38″ Tall by 45″ Wide. Make this eye-catching silhouette of a St. Bernard Dog for your yard. 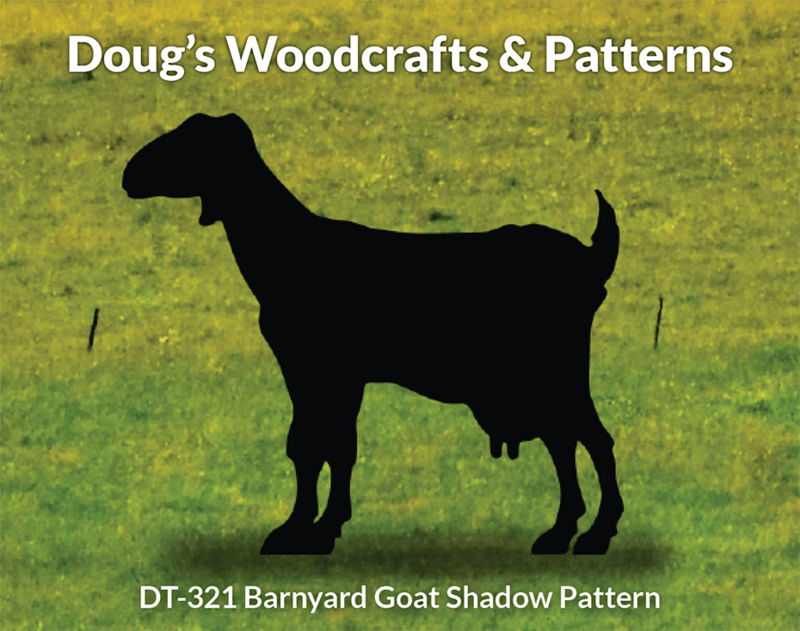 Simply trace this full-size , one piece pattern onto plywood, cut out with a hand-held jig saw and paint black. Finished silhouette measures 34" Tall by 47" Long. Use CP2436 Carbon Paper (Supplies Section) to make the tracing easier. 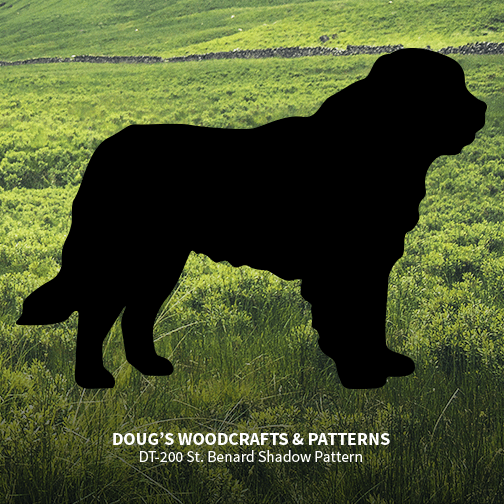 Make this eye-catching silhouette of a St. Bernard Dog for your yard. 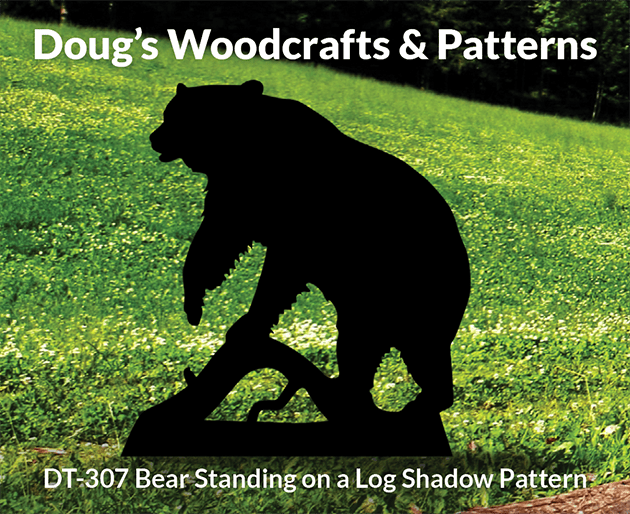 Simply trace this full-size , one piece pattern onto plywood, cut out with a hand-held jig saw and paint black. Finished silhouette measures 34″ Tall by 47″ Long. Use CP2436 Carbon Paper (Supplies Section) to make the tracing easier. 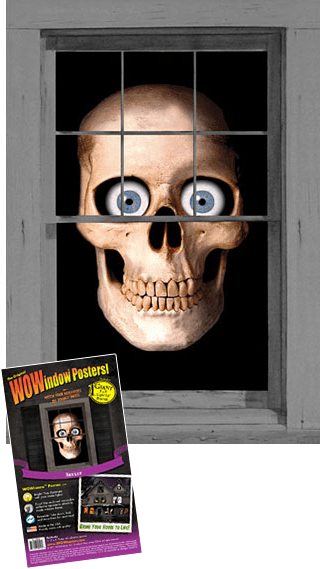 This display will certainly catch the interest of those who see it when you hang one on your door, fence gate, on the side of a building or on the wall in your home especially the wall of that little cowboy or cowgirl who lives with you. Measures 15" by 18". Easy to make using this full size pattern, carbon paper , plywood and paint. This display will certainly catch the interest of those who see it when you hang one on your door, fence gate, on the side of a building or on the wall in your home especially the wall of that little cowboy or cowgirl who lives with you. Measures 15″ by 18″. Easy to make using this full size pattern, carbon paper , plywood and paint. This couples practicing their steps for the barn dance tonight. These images make great displays for dances at rodeos or just for staking out in your yard. Attached to the side of a building or fastened to a fence. They are sure to be noticed. The Cowboy measures 35" Wide by 70" Tall, the Cowgirl measures 39" Wide by 65" Tall. Easy to make using these full- size, one-piece patterns, carbon paper, plywood and some black paint. This couple is practicing their steps for the barn dance tonight. These images make great displays for dances at rodeos or just for staking out in your yard. Attached to the side of a building or fastened to a fence. They are sure to be noticed. 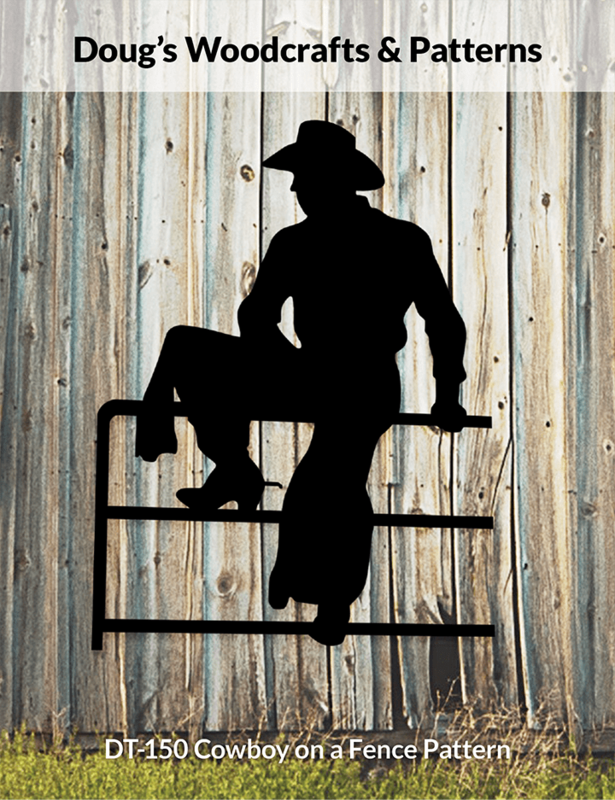 The Cowboy measures 35″ Wide by 70″ Tall, the Cowgirl measures 39″ Wide by 65″ Tall. Easy to make using these full- size, one-piece patterns, carbon paper, plywood and some black paint. Always a popular display at Christmas. 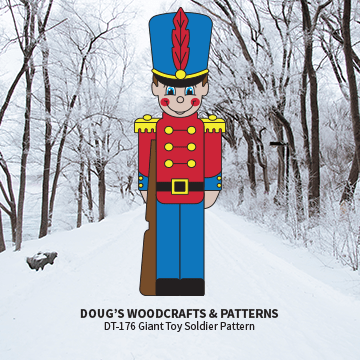 With this full-size pattern make 2 Toy Soldiers out of one sheet of plywood. Simply trace the pattern onto plywood with the assistance of Carbon Paper, cut out with a hand-held jig saw and paint. Figure measures 72″ tall by 24″ wide. Also see the DT-176 Eight Foot Toy Soldier. This ferocious looking Sasquatch is out to grab some trick and treaters this Halloween. Make him using 3/4" thick plywood,, this full-size pattern, CP2436 Carbon Paper, a hand-held jigsaw and paint as indicated on the pattern. Measures 47" Tall by 53" Wide. CP2436 Carbon Paper and MGS Display stakes ae available in the supplies section of our website. 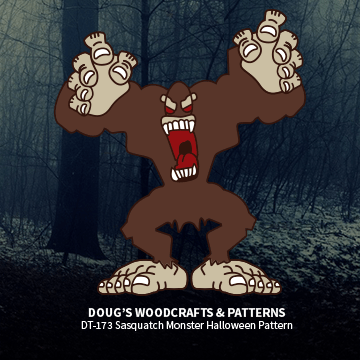 This ferocious looking Sasquatch is out to grab some trick and treaters this Halloween. Make him using 3/4″ thick plywood,, this full-size pattern, CP2436 Carbon Paper, a hand-held jigsaw and paint as indicated on the pattern. Measures 47″ Tall by 53″ Wide. CP2436 Carbon Paper and MGS Display stakes ae available in the supplies section of our website. These shadow images make a great display on the side of a building or fastened to a fence. 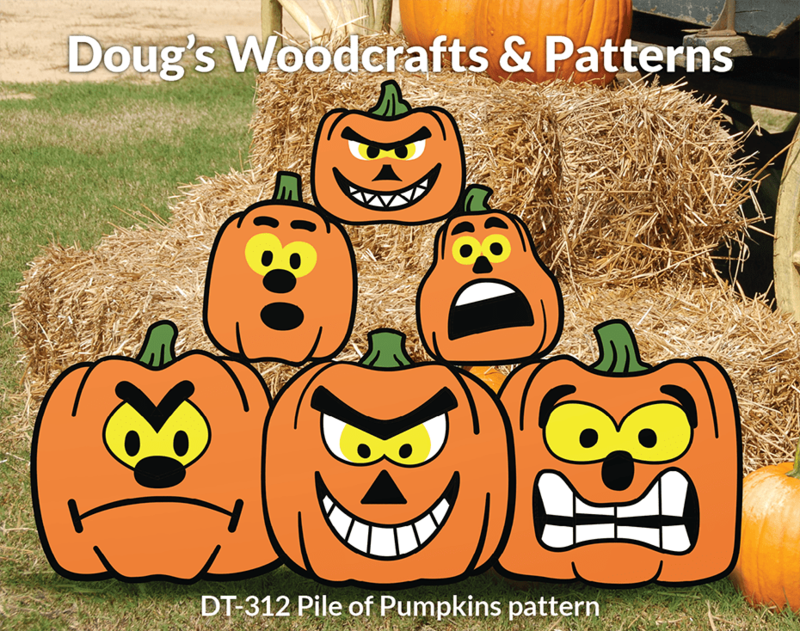 Easy to make by simply tracing these patterns onto plywood, cutting out with a hand-held jigsaw and painting black. 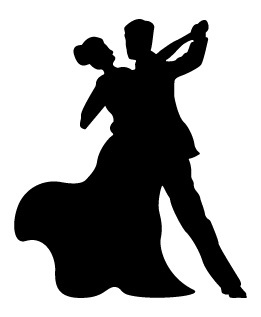 Figures measure approximately 27" by 34"
These shadow images make a great display on the side of a building or fastened to a fence. 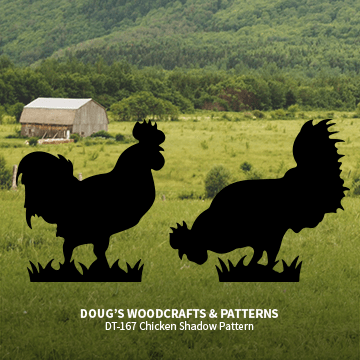 Easy to make by simply tracing these patterns onto plywood, cutting out with a hand-held jigsaw and painting black. Impress your neighbours and friends by displaying this Doe & Fawn silhouette in your front yard. Easy to make and paint. Measures Together they measure 57" Tall by 55" Wide. Impress your neighbours and friends by displaying this Doe & Fawn silhouette in your front yard. Easy to make and paint. Measures Together they measure 60″ Tall by 55″ Wide. This Ten Point Buck Deer silhouette will turn a lot of heads when you make it and stake it out in your yard. 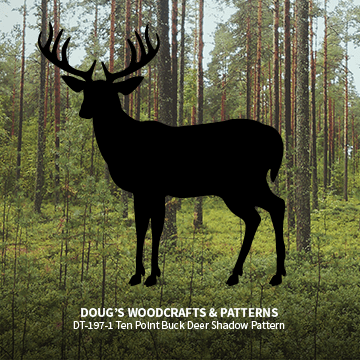 This majestic looking image can easily be made simply by tracing this full-size pattern onto plywood, cutting out with a hand-held jigsaw and painting black. Measures almost 6 feet tall and 6 feet wide. This Ten Point Buck Deer silhouette will turn a lot of heads when you make it and stake it out in your yard. cutting out with a hand-held jigsaw and painting black. Measures almost 6 feet tall and 6 feet wide. The "ROARING GAME" on your own front lawn. Fool your neighbours and friends by displaying this silhouette on your lawn. Everyone will think there's a curling game going on. To make it simply trace this full-size, one- piece pattern onto plywood, cut out with a hand-held jigsaw and paint black. Make tracing easier by using CP2436 Carbon Paper. Stake the figure out in you yard using MGS Display Stakes. Measures almost 65" Long. The “ROARING GAME” on your own front lawn. Fool your neighbours and friends by displaying this silhouette on your lawn. Everyone will think there’s a curling game going on. cut out with a hand-held jigsaw and paint black. Make tracing easier by using CP2436 Carbon Paper. Stake the figure out in you yard using MGS Display Stakes. Measures almost 72″ Long. Everyone will gaze with amazement when they see this graceful figure of a Ballerina that appears to be dancing on your front lawn. 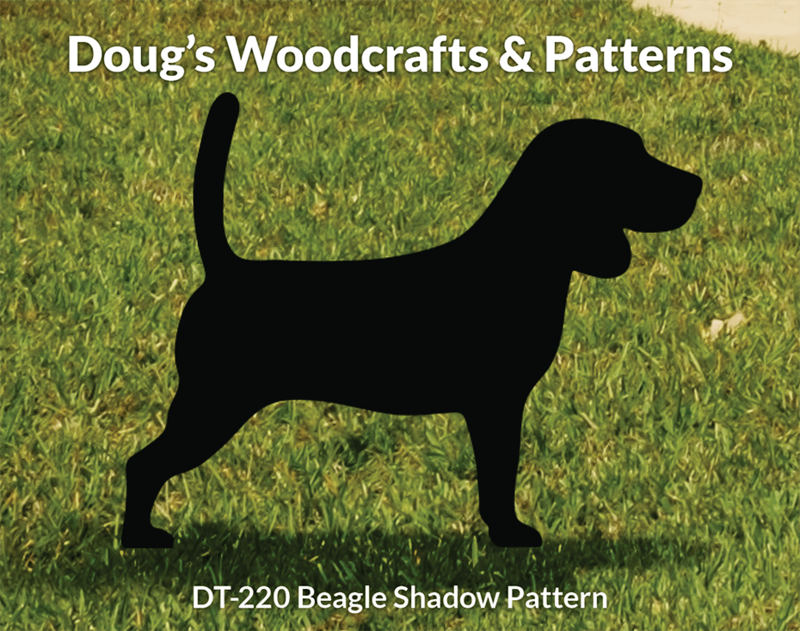 Simply trace this full-size pattern onto plywood with the assistance of CP2436 Carbon Paper, cut out with a hand-held jigsaw and paint black. Figure measures 57" Tall by 40" Wide. Everyone will gaze with amazement when they see this graceful figure of a Ballerina that appears to be dancing on your front lawn. and paint black. Figure measures 57″ Tall by 40″ Wide. 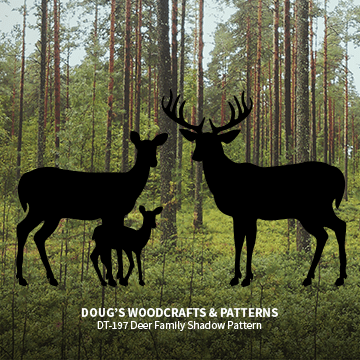 Make this handsome Deer family to stake out in your yard under a large tree or in the shadow of your home. Everyone who sees it will stop and take a second look.Simply trace the full-size patterns onto plywood, cut out with a hand- held Jigsaw and paint black. CP2436 Carbon paper makes tracing easier and is available in our supplies section. MGS display stakes will securely anchor them into the ground and are also available in our supplies section. and is available in our supplies section. 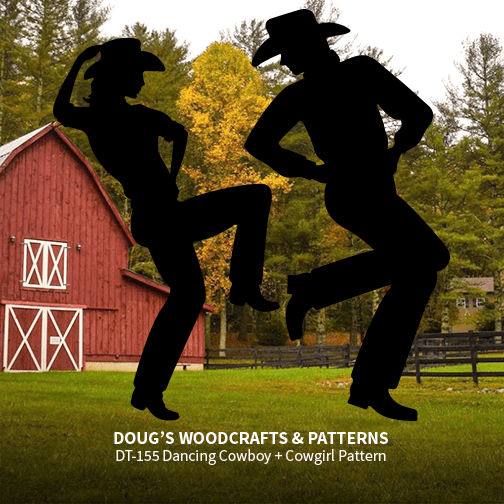 This high stepping couple are sure to gather some more line dancers when your neighbors see them staked out in your yard. They are easy to make using this full-size pattern, carbon paper, plywood and black paint. Cowboy measures approx. 70" Tall by 35" Wide, Cowgirl approx. 65" Tall by 35" Wide. 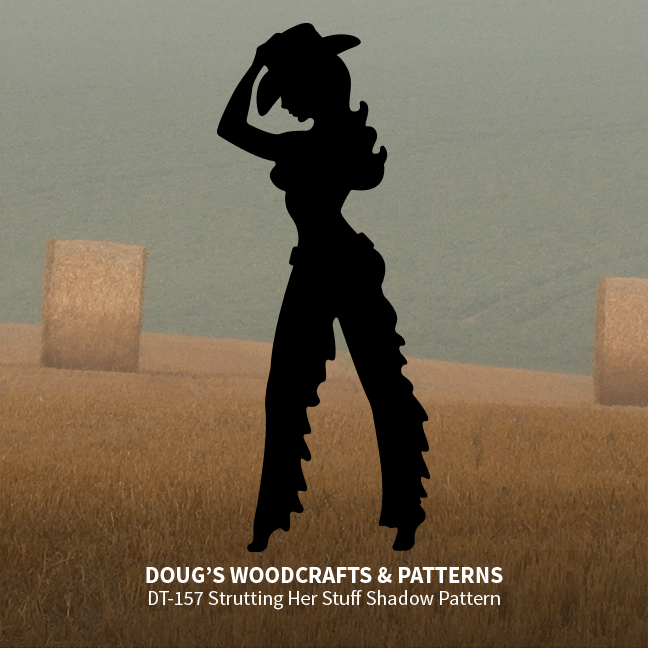 "Everyone will think you have a real live Cowboy standing out in your yard when they see this silhouette.Easy to make using this full-size, on-piece pattern (no line matching),plywood, carbon paper, and some black paint. 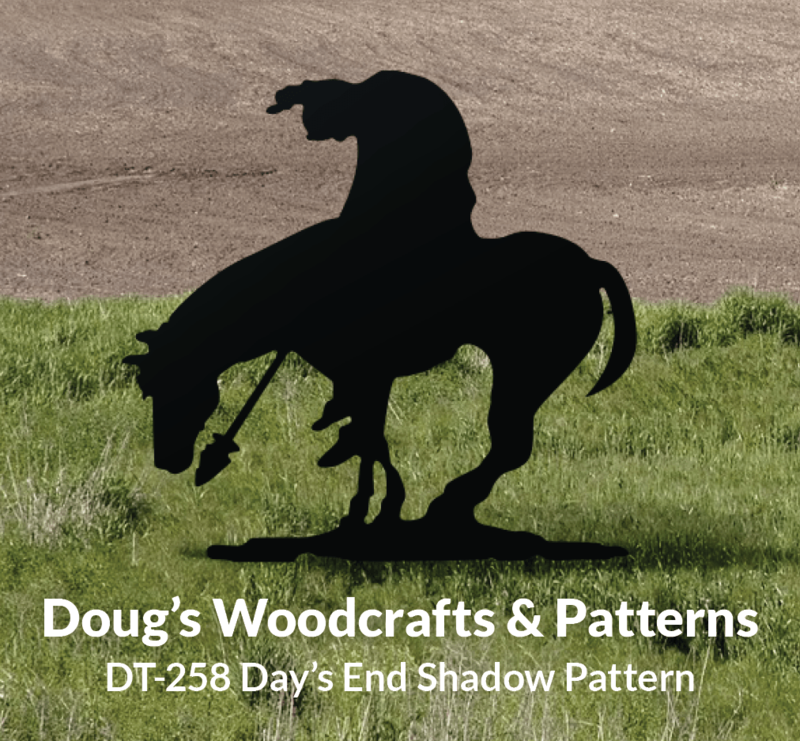 This shadow silhouette will look amazing staked out in your yard or fastened to a building or fence. Easy to make using this full-size, one -piece pattern ( no line matching) using carbon paper to trace the pattern onto plywood, cut out with a hand-held jigsaw and paint black. A real eye-catcher! 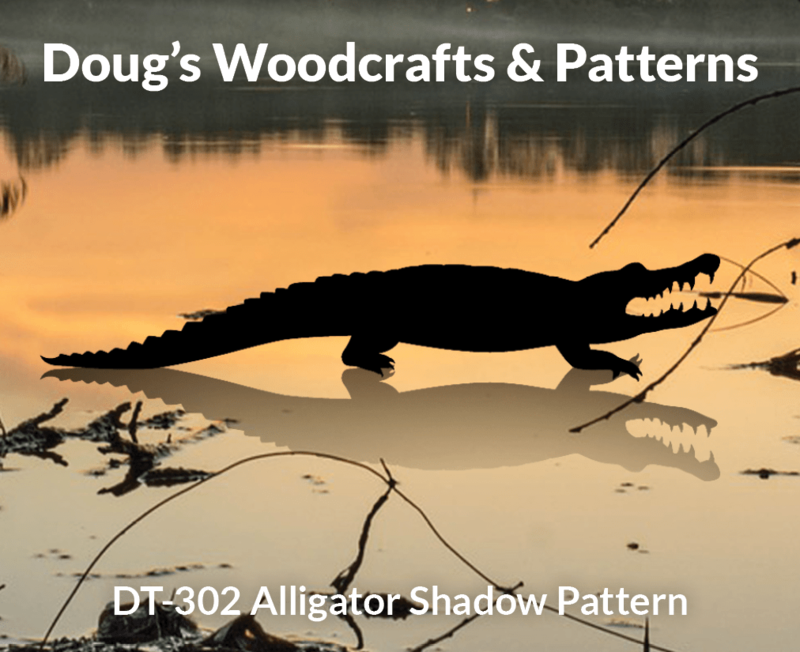 Make these large shadow images using these full-size, one-piece patterns, plywood, carbon paper and black paint. Simply trace the patterns onto the plywood with the aid of the carbon paper, cut out with a hand-held jigsaw and paint black. Stake them out in your yard or field using MGS display Stakes (Supplies Section) or fasten to a building or fence. Passer-bys are sure to notice them and compliment you on your work. CW-2005 Adjustable Back Adirondack Chair Plan. All you need to make this outstanding silhouette is this large pattern, plywood, Carbon paper and some black paint. Everyone will be amazed when they see it staked out in your yard or field or attached to a building or fence. An all time favorite. Measures approximately 7 feet tall and 7 feet long. Makes a great display on a door or on the wall of some cowboy’s room. Measures 15" Tall. Paint black or colours of your own choice. KB56P – Rocking Horse Kt. This little rocking horse is nicknamed "Slivers". His unique design made up of 17pieces make it simple for any woodworker even beginners to get great results. 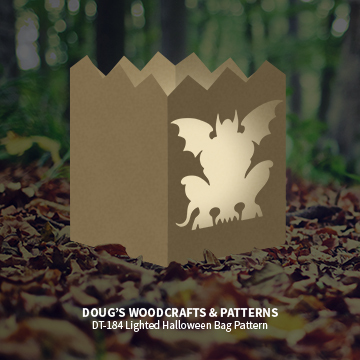 Make one or several of these lighted wooden bags out of 3/4" lumber stock and this full-size pattern. The pattern contains 6 different cut-out designs. For lighting use a candle or a candle light fixture. Ideal for placing at your doorway, along your walkway or driveway. Reusable year after year. Measure 8" High by 6" Wide by 6" Deep. Always a popular Halloween display. Trace this full-size, one-piece pattern onto a sheet of 3/4" plywood, cut out and paint as indicated on the pattern. Measures 57" Tall by 33" Wide. Remember to order 2 MGS display stakes and a package of CP2436 Carbon Paper. Always a popular Halloween display. Trace this full-size, one-piece pattern onto a sheet of 3/4" plywood, cut out and paint as indicated on the pattern. Measures 55" Tall by 30" Wide. Remember to order 2 MGS display stakes and a package of CP2436 Carbon Paper. 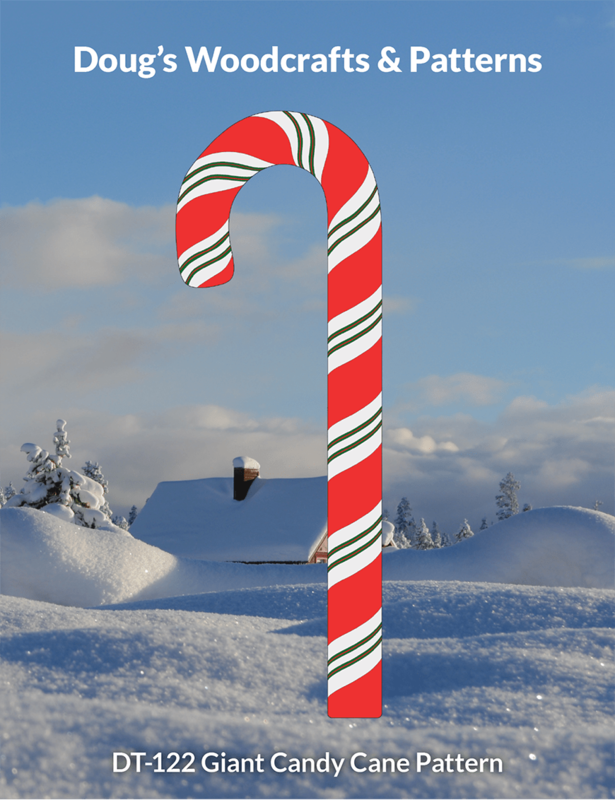 Make 2 Giant Candy Canes out of a 24" by 96" sheet of plywood. All you need is this full size pattern, the plywood , CP1824 Carbon Paper and some paint. One of the most popular displays for a Christmas yard setitng. Fourteen jolly Snowmen each with a letter on their hats together saying "Merry Christmas" to all who pass by. A great addition to any Christmas yard display. Easy to make using this full-size pattern, carbon paper, plywood and some paint. Pattern contains complete painting and lettering instructions. Each Snowman measures 22" Tall by 15" Wide. Fourteen jolly Snowmen each with a letter on their hats together saying "Merry Christmas" to all who pass by. A great addition to any Christmas yard display. Easy to make using this full-size pattern, carbon paper, plywood and some paint. Pattern contains complete painting and lettering instructions. Each Snowman measures approximately 24" tall. 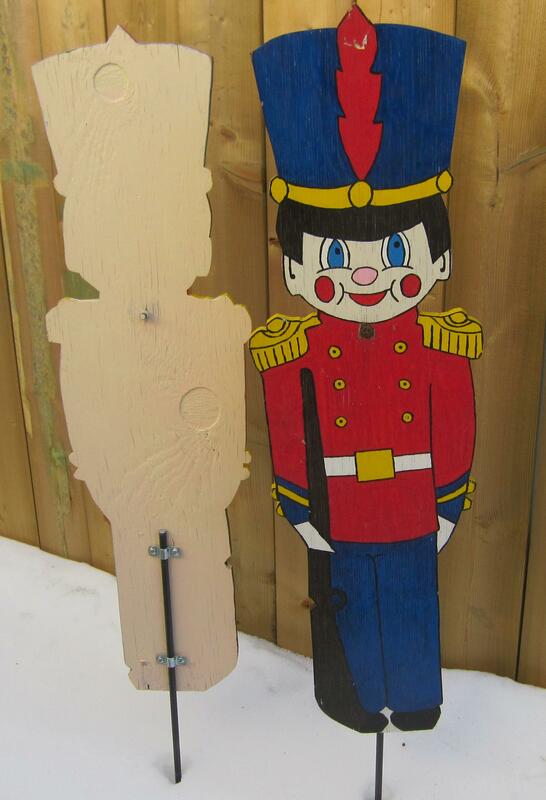 This 4′ tall Toy Soldier will look great in your Christmas Display. Measures 48" Tall by 19" Wide. Display this large Toy Soldier standing guard at your front door or by the driveway. Two makes a more noticeable display. Easy to make using this full-size, one-piece pattern, 3/4" plywood, and some paint. Measures 87" Tall by 27" Wide. Display this large Toy Soldier standing guard at your front door or by the driveway. Two makes a more noticeable display. Easy to make using this full-size, one-piece pattern, 3/4" plywood, and some paint. Measures 95" Tall by 30" Wide. It will look like a cow has wandered into your yard when you display one on your lawn. 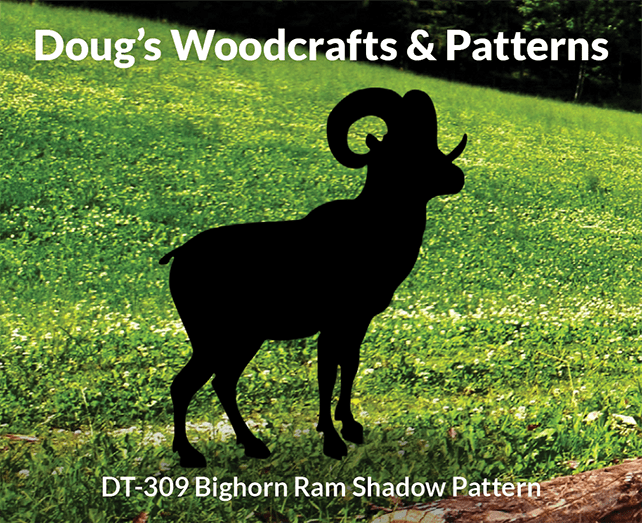 To make simply trace this full-size pattern onto plywood, cut out and paint. Measures approx. 46" Tall by 48" Long. Why make just one, make several and really fool your friends and neighbours. A Christmas yard display is not complete without a large Snowman welcoming your guests to your home. This 66" tall by 36" wide comical image complete with carrot nose can easily be made using this full-size one-piece pattern , plywood and some paint. There's no match lines just trace the pattern as is. A Christmas yard display is not complete without a large Snowman welcoming your guests to your home. 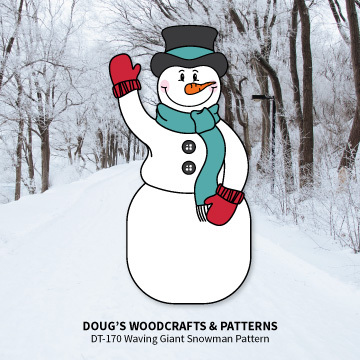 This 66" tall by 36" wide comical image complete with carrot nose can easily be made using this full-size one-piece pattern , plywood and some paint. There’s no match lines just trace the pattern as is. If this massive silhouette of a Bull Buffalo doesn't get everyone's attention nothing will . This large silhouette measures 57" Tall by 92" Long. Using CP2436 carbon paper trace this full-size pattern onto 3/4" plywood, cut out with a hand-held jigsaw and paint black. Stake out in your field, everyone who sees it will think you have a real buffalo. If this massive silhouette of a Bull Buffalo doesn’t get everyone’s attention nothing will . This large silhouette measures 52" Tall by 80" Long. Using CP2436 carbon paper trace this full-size pattern onto 3/4" plywood, cut out with a hand-held jigsaw and paint black. Stake out in your field, everyone who sees it will think you have a real buffalo. 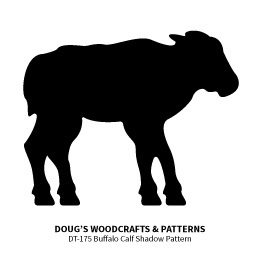 Make this silhouette of a buffalo calf and stake it out in your yard or fasten to a building or fence. 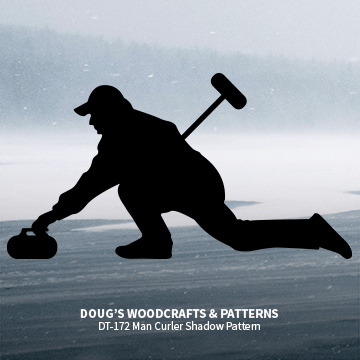 Simply trace this full-size pattern onto plywood using CP2436 carbon paper, cut out with a hand-held jigsaw and paint black. 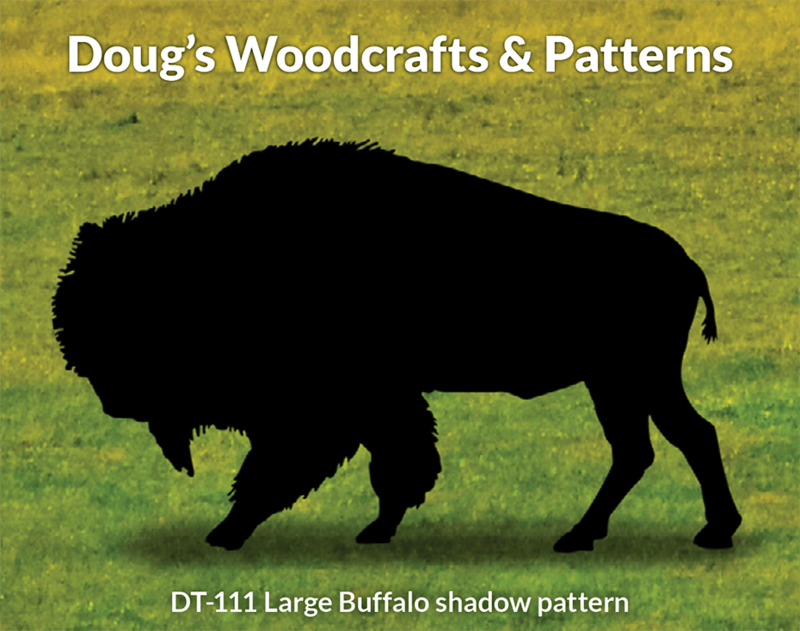 Use to compliment our DT111 Large Buffalo Silhouette. Finished calf measures 30" Tall by 37" Long. 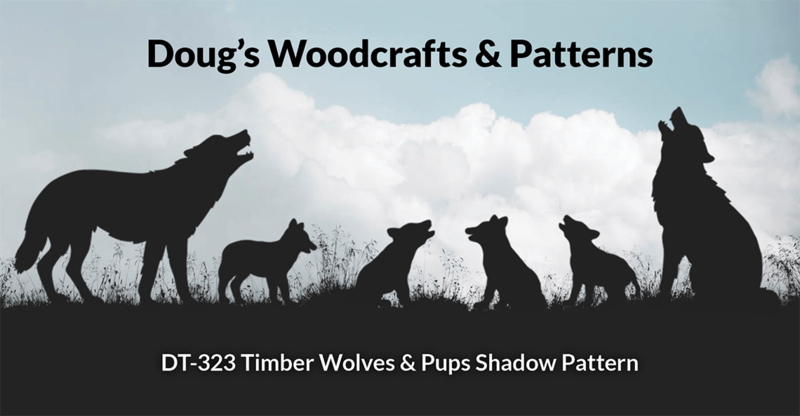 Easy to build, simply trace the patterns onto wood, cut out and sand. After the pro9ject is assembled protect it with a sealer stain or paint. Measures 40" Long by 10" Wide by 15" Tall. 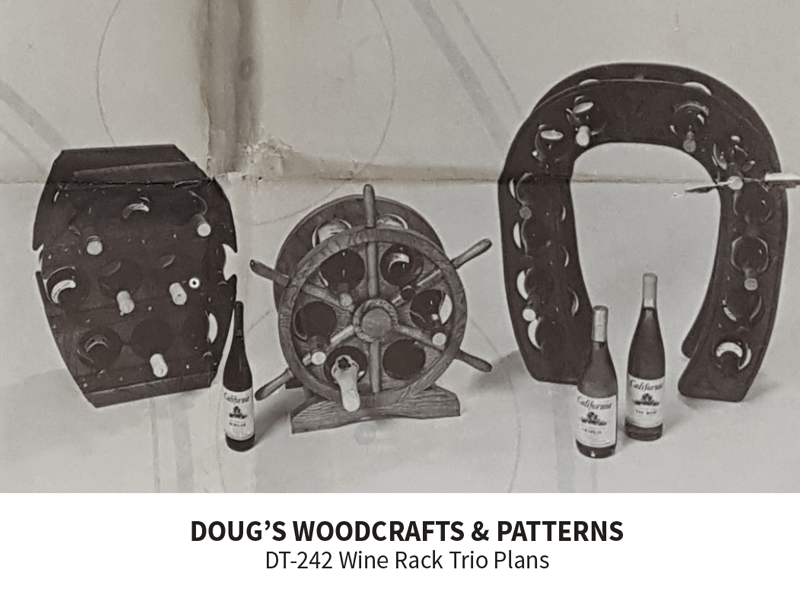 UB893 – Three Whirligi Plans. "Three easy to build projects on 2 plans. A chaise lounge, a chair and an ottoman. Chaise lounge measures 74"Long by 24" Wide. Make fromn Redwood or Cedar. Eliminate unsightly wooden support structures and stakes by using these strong, lightweight Fiberglass rods 3/8" diameter by 24" long. Each rod comes with 2 attaching brackets and 4 screws. Grinch looks his mischievous self. He will certainly get everyone's attention when you display him in your yard this Christmas. He measures 60" tall by 30" wide. 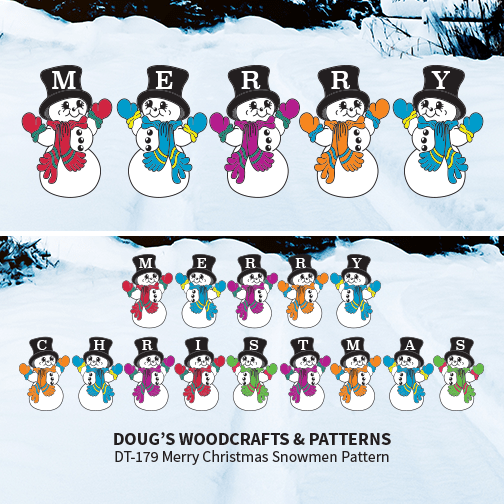 Easy to make by simply tracing this full-size pattern onto plywood, cutting out with a hand-held jigsaw and painting as shown on the pattern. We recommend you purchase a package of CP2436 Carbon Paper to make the tracing easier. CP2436 Carbon Paper is available in the Supplies Section of our website. Grinch looks his mischievous self. He will certainly get everyone’s attention when you display him in your yard this Christmas. He measures 60" tall by 30" wide. 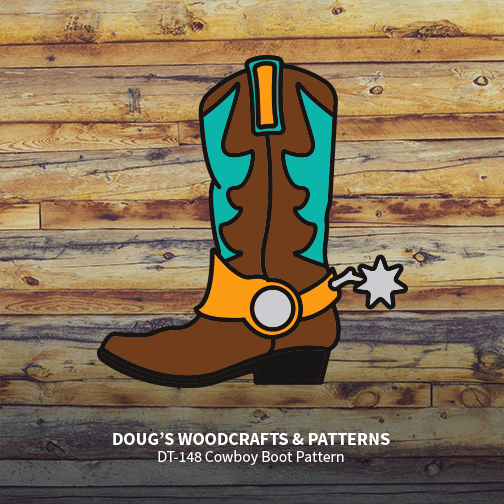 Easy to make by simply tracing this full-size pattern onto plywood, cutting out with a hand-held jigsaw and painting as shown on the pattern. We recommend you purchase a package of CP2436 Carbon Paper to make the tracing easier. CP2436 Carbon Paper is available in the Supplies Section of our website.